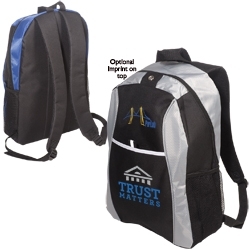 Commuter backpack with dual zippered main compartment with padded back. Add your company logo, wedding date etc. for an additional $60 set up fee.